BJ certainly has made his mark on the show ring from the first time he stepped into the ring. 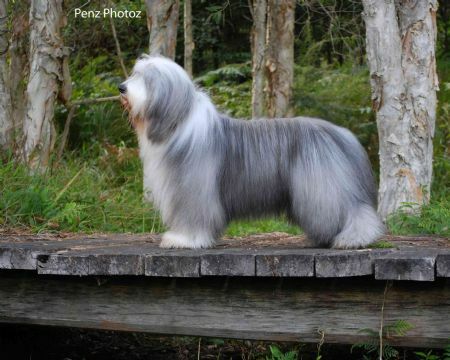 From gaining his Australian Title with Best Exhibit in Group and just 1 year & 1 week old, to attaining his first Runner Up To BEST IN SHOW ALL BREEDS (at just 2 years 2 months) and gaining his Grand Championship at just 2 years 11 months. This dog continues to delight us with his achievements and his beautiful nature. A dog with a sweet temperament and a joy to own. As you can see gives the "best furry kisses". Royal Achievements: Baby Puppy of the Day – Canberra Royal, Dog Challenge & Runner Up Best of Breed – Sydney Royal, Res CC, RUBOB & Minor Puppy in Group – Toowoomba Royal. 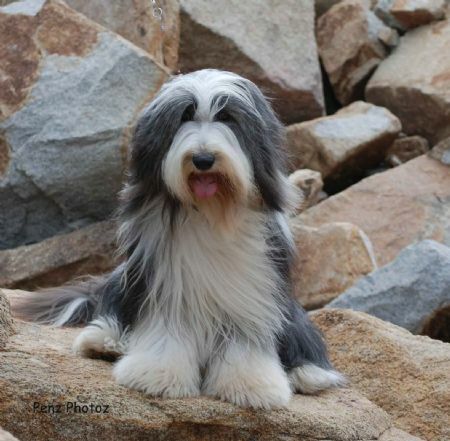 Bearded Collie Club of NSW - SHOW DOG of the Year winner for 2007 and on the completion of his puppy career Best Puppy #3 All Breeds in Australia and #1 Working Dog Puppy (*Dogzonline pointscore 30/08/2007). 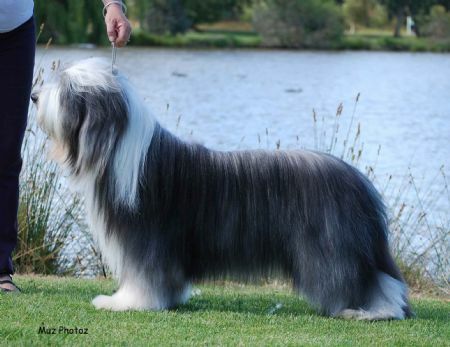 BJ also completes 2008 as # 4 Bearded Collie for Australia and # 1 Bearded Collie for NSW (Dogzonline pointscore 2008). A huge achievement for a dog so young. GrCh Llandtree Newell Glenn. Attractive slate in good coat. Strong head and good expression. Nice reach of neck and good shoulders. Free mover with good extension at both ends. Happy dog who was a little proud of his tail at times. Res Challenge. 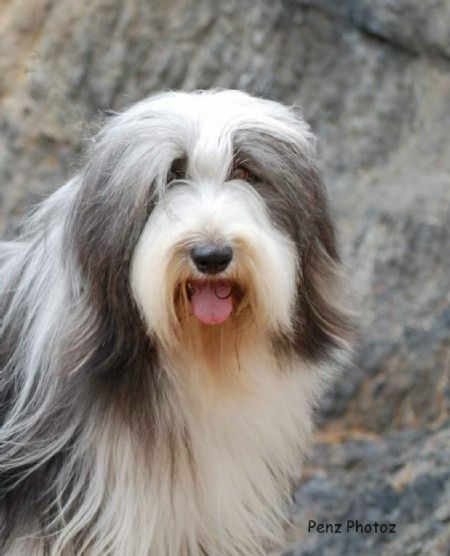 BJ was also #1 Bearded Collie for Australia. DOL pointscore. 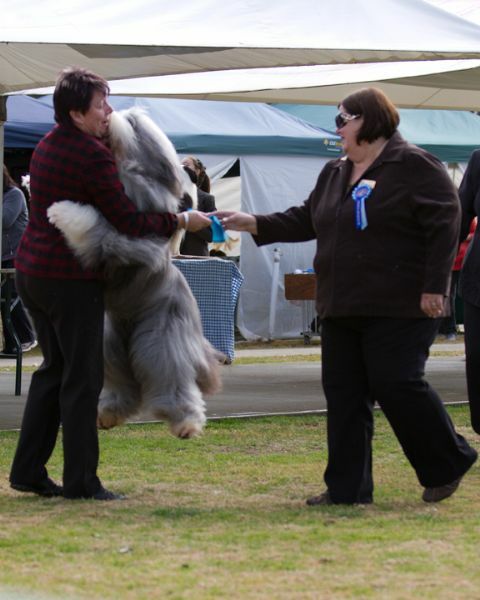 Royal Achievements: Runner Up to Best of Breed Bathurst Royal. 2nd in a strong Open Class at Sydney Royal. 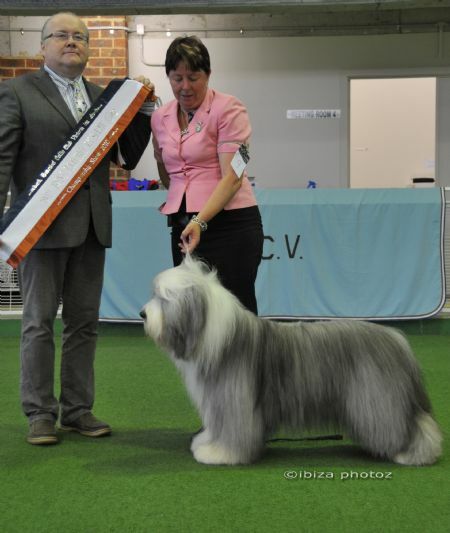 2010 saw BJ again as #1 Bearded Collie for Australia in both the All Breeds Leader Board & the Best of Breed Leaderboard. 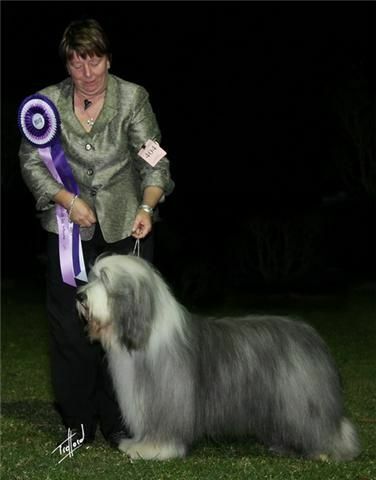 "My BIS winner was of excellent breed type and in good coat and condition. A lean active dog, well balanced with a correct head piece and bright enquiring expression. He is strongly made throughout, did everything right on the day and deserved his BIS win." 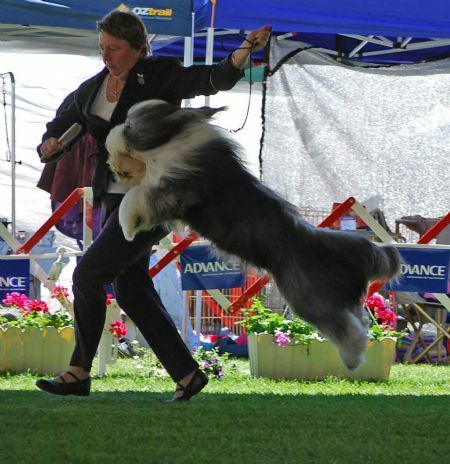 - who incidentally gave Koopa a 25 point Best of Breed at Sunbury when he judged there 6 or 7 years ago. 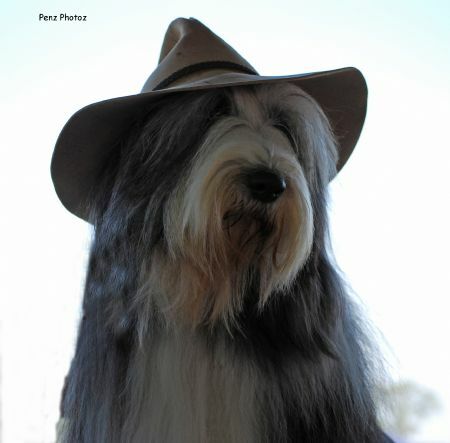 2011 again saw BJ as #1 Bearded Collie for Australia in both the All Breeds Leader Board & the Best of Breed Leaderboard. 1 Speciality Dog Challenge & Runner Up to Best in Show and 1 Reserve Dog Challenge at the other Speciality. 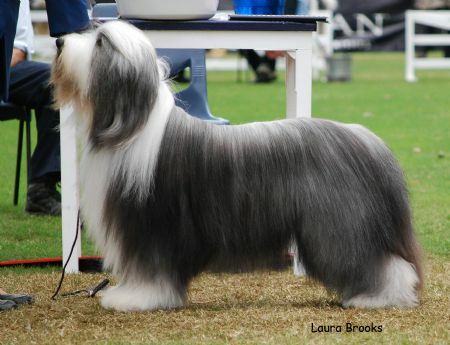 BJ also took out Bearded Collie Club of NSW - Show Dog of the Year as well as Top Male Bearded Collie. "Beautiful Type, very Masculine. He has a strong head and nice eyes and expression. Moves Well. Best Open & RCC"
What will 2012 bring for this boy? 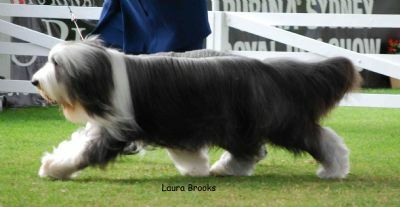 BJ also holds his Herding Instinct Certificate - Just to show he is not just beautiful he is very clever as well.